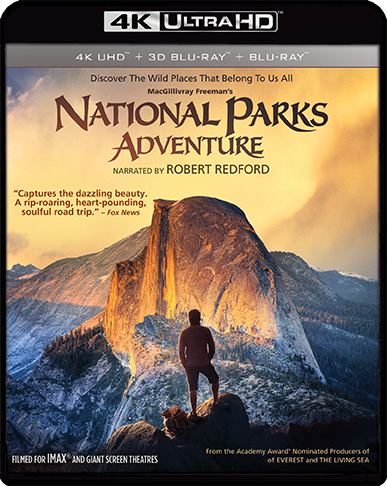 The power of America's national parks is undeniable. 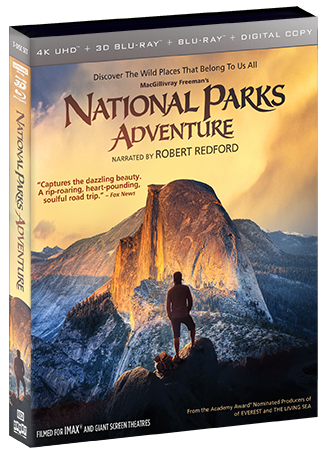 Millions have packed up the family to hike through impossibly lush forests, to gaze upon towering cliffs and deep-plunging canyons, to witness the breathtaking arcs of natural history, and, most of all, to share moments of wonder amid the protected treasures of this land. 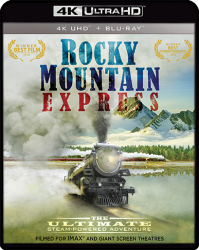 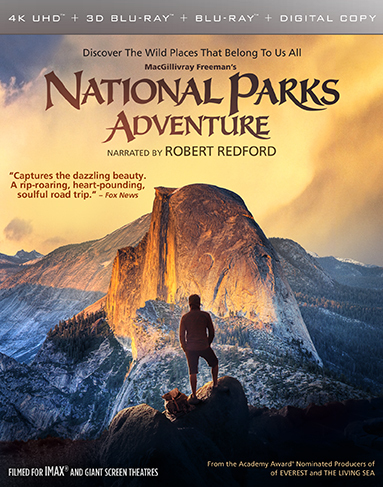 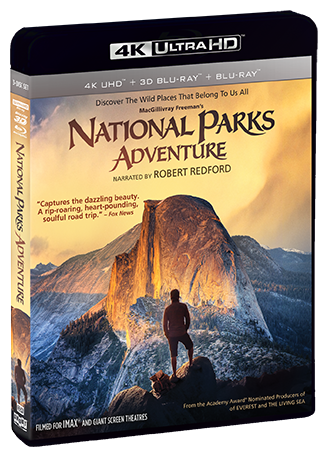 A MacGillivray Freeman film produced in association with Brand USA and narrated by Academy Award® winner* Robert Redford, National Parks Adventure is acclaimed filmmaker Greg MacGillivray's most visually ambitious giant-screen film to date — a film that offers not only a sweeping overview of the national parks' history, but is equal parts adrenaline-pumping odyssey and soulful reflection on what the wilderness means to us all.